We stayed in Oceanside and this was a good idea. I stayed on the run course about 5 mins from the expo and T2, so convenient for checking in etc. but also for my family to support me on the run (they literally had a 30 second walk to the run course). T1 and T2 are in different places. Bear this in mind for race morning – it takes at least 10 mins to ride to T1 from T2. I dropped my run kit off the day before, so on race morning I just rode easy to the start which doubled as a good warmup. The bike course is hilly but still quite fast. The run is flat 3 laps with a few very short, steep inclines. Bike: cap my power at 255 watts on the flats, 300 watts on the hills (note I said cap not average, that means I try to stay under that). FYI my FTP measured 2 weeks before race day was approx 306 watts. Up at 3.30am, ate 2 x plain bagels with honey. Rode bike in the dark to T1. Some people were walking their bikes because they had so much stuff. Get a bag with all your stuff and ride your bike otherwise getting there will take forever. Alternatively I saw some peeps riding in their wetsuits… not for me but still an option. Got to T1, it was pretty chilled with plenty of space so it was quick to rack bike and get ready. The swim starts in waves, for which people line up in batches. This gets congested so make sure you leave your bike and head to the start with at least 10 mins to spare, to allow you to get through the crowds. There was a guy in front of me who missed his wave and had to start the swim alone. About 3 mins before your wave start, they let you jump into the water and swim over to the start line (it’s an in-water start). 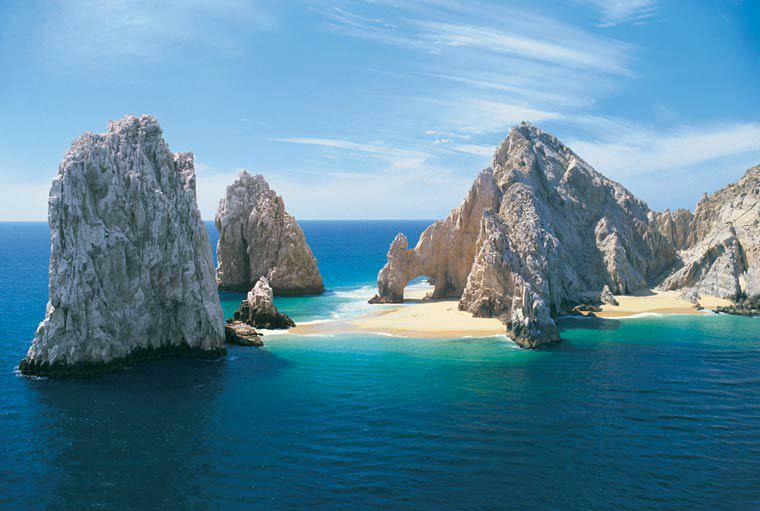 The water here is cold, salty and seemed to taste of 2 stroke fuel at times! The swim start is pretty calm compared to a mass start like you get at Ironman races, and the groups are small. The water was cold and choppy but overall I had a good swim. The buoys are well aligned, highly visibile and you have smaller buoys along the course. It helps if you can breathe on the left since sighting will be easier (buoys on left). Despite the rough water I sighted pretty well, I swam a little further than expected according to my garmin (about 2100m rather than 1900m) but I was satisfied with a 34 min swim on this course. Most people were about 2-3 mins slower than expected. It was cold and raining so I’d left arm warmers on my aerobars. This was a very good idea and really helped on the cold and wet bike course. When I did Challenge Henley last year, I suffered with uncontrollable shivering for the first half of the bike, in similar conditions, which took a LOT out of me physically. This time I was relatively warm for most of the ride. I started off riding pretty conservatively, not pushing much above 245 watts. About half way I heard the dreaded sound of a flat tire (another thing in common with Henley). This time I fixed it pretty quickly, in about 3 mins. I do practice changing flats and this paid off on race day. When I got back on the bike, I pushed a *little* bit harder to try and make up some time. There is a big hill on this course and I rode it steadily, conserving my energy for the return trip. The second half of the bike course, heading back to Oceanside, you are met with a headwind. A lot of people blow up on this part because they overdid the first section. I rode steadily into the wind, increasing my power to around 250 at times, and coasting on the downhills. I passed a lot of people on this section. In what felt like a relatively short time, we were heading back into Oceanside and into t2. It was now hot and sunny, which was actually a relief after the cold & windy bike. I started off a little fast out of T2, at about 6:45 min/mile. I slowed to around 7 min/mile and then just ran steadily the rest of the way. I consumed liquids only on the run. I averaged 6:56 min/mile on the run and finished in 1:31. My brain still thinks in metric, and for some reason I thought 7 min/mile would get me there in 1:30. I was aiming for a sub 1:30 half marathon so I was a little bummed to miss it, especially since I thought I was on track with a little extra to spare. Anyway, that will teach me to next time brush up on my old fashioned measurement systems before planning my race according to them! 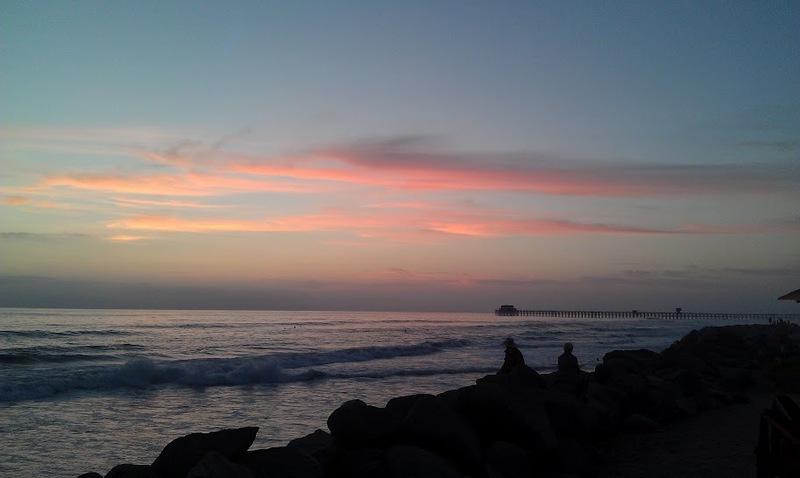 Overall – I really like Oceanside and will be back again next year! Obviously everyone is different, but for me 3 weeks is enough to recover. I did no real training between IMCH and Vineman, I just tapered again during the 3 weeks (1 week recovery, 1 week short efforts to sharpen, 1 week rest). In this case I was able to handle a reasonable training load of 14 hours after 1 week, and a high training load in weeks 3 & 4. So what are the secrets to good recovery? If you are well trained, your recovery will be faster. The main cause of muscle damage is the run, so having some decent mileage in your legs will limit the soreness. Biking fitness is even more critical though, because this is where you spend the longest part of your day. I know several athletes who never ride much more than 4 hours on their weekend training rides. That’s not enough. My usual long ride is around 6-7 hours, and is at least 5.5 hours. This will enable you to start the run less fatigued, but it will also limit the total stress of the day. If your training rides are only 4 hours long, then an Ironman bike leg is going to feel very tough. 2. Get your race nutrition right. If you run out of carbs during the race (aka “bonking”), this will impact your recovery after the race. Keep well nourished and you’ll race better plus recover better. Try to eat straight after the race if you can (I usually can’t). Make sure you take in a lot of protein. I always have a protein shake after my race, sometimes two. 3. Eat a lot of protein. My 2 shakes after the race give me around 70g protein which is key. Continue taking in protein for the whole week, at least 2g per kg of bodyweight per day. I like to take in 3g per kg per day. In the week following a race I eat whatever I want, provided that I take in my 220g of protein every day. Most sports scientists will tell you to eat a lot of carbs for recovery, but they are thinking in terms of glycogen replacement which will enable you to do a hard workout again. Your goal is not to do a hard workout, it’s to recover from muscle damage. Protein is what will help you to do this. Carbs help too but not if you don’t eat enough protein. I eat eggs /egg whites for breakfast, lean meat for lunch and dinner, plenty of veggies, plus 2-3 protein shakes throughout the day. Although tempting, don’t sit around doing nothing in the days after your race. Some type of active recovery will get blood & oxygen flowing to your muscles which will speed recovery. I generally avoid running and stick to light swimming & cycling. A 20-30 min light session every day will get you recovered faster than being a couch potato. Do some stretching each day, and I really love using my triggerpoint grid roller. Try to sleep more than usual. This will enable the release of Human Growth Hormone (HGH) that will aid your recovery. Avoid sugars before you sleep, they will stop HGH secretion. Try to add in a short nap during the day if you are able to do that. 7. Plan your next race. Once your IM race is over, your massive goal is now over, your purposeful training is done. This means that you might feel lost and without purpose. Book your next race. Personally, I book my next IM race, but then also something sooner like a local half marathon or 10k. I really enjoyed doing my IM races so close to each other because it meant that I had to be on form once, and then just capitalize on that form for the other 2 races. 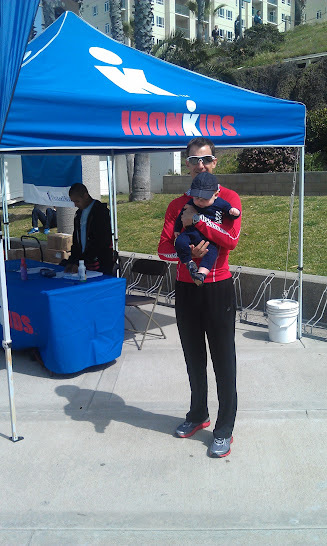 So in conclusion – Ironman recovery can take a lot quicker than you think! Good luck and speedy recovery! 1. Prepare well. If you are well trained, your recovery will be faster. The main cause of muscle damage is the run, so having some decent mileage in your legs will limit the soreness. Biking fitness is even more critical though, because this is where you spend the longest part of your day. I know several athletes who never ride much more than 4 hours on their weekend training rides. That’s not enough. My usual long ride is around 6-7 hours, and is at least 5.5 hours. This will enable you to start the run less fatigued, but it will also limit the total stress of the day. 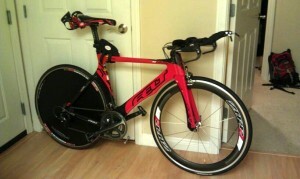 If your training rides are only 4 hours long, then an Ironman bike leg is going to feel very tough. 2. Get your race nutrition right. If you run out of carbs during the race (aka “bonking”), this will impact your recovery after the race. Keep well nourished and you’ll race better plus recover better. Try to eat straight after the race if you can (I usually can’t). Make sure you take in a lot of protein. I always have a protein shake after my race, sometimes two. 3. Eat a lot of protein. My 2 shakes after the race give me around 70g protein which is key. Continue taking in protein for the whole week, at least 2g per kg of bodyweight per day. I like to take in 3g per kg per day. In the week following a race I eat whatever I want, provided that I take in my 220g of protein every day. Most sports scientists will tell you to eat a lot of carbs for recovery, but they are thinking in terms of glycogen replacement which will enable you to do a hard workout again. Your goal is not to do a hard workout, it’s to recover from muscle damage. Protein is what will help you to do this. Carbs help too but not if you don’t eat enough protein. I eat eggs /egg whites for breakfast, lean meat for lunch and dinner, plenty of veggies, plus 2-3 protein shakes throughout the day. Although tempting, don’t sit around doing nothing in the days after your race. Some type of active recovery will get blood & oxygen flowing to your muscles which will speed recovery. I generally avoid running and stick to light swimming & cycling. A 20-30 min light session every day will get you recovered faster than being a couch potato. 7. Plan your next race. Once your IM race is over, your massive goal is now over, your purposeful training is done. This means that you might feel lost and without purpose. Book your next race. Personally, I book my next IM race, but then also something sooner like a local half marathon or 10k. Today I did another power test, 6 days after Ironman Switzerland. The purpose of this test is to compare it to my pre-Ironman power tests and gauge my recovery. The test is a standard power threshold test, where I warm up for 10-15 mins then ride as hard as I can for 30 mins, taking the average watts for the 30 mins as my threshold at power. For more info on testing protocols check out Joe Friel’s blog post on setting zones. So the goal today was to see if I was anywhere close to the 272 watts, that would tell me if my state of recovery was similar to what it was 1 week before IM (272 watts). Surprisingly, I managed 282 watts, which implies that I was a complete slacker during the Ironman race and should have raced harder… or it could mean that the IM race somehow made me fitter in one week and that my recovery plan is working well. Perhaps an alternative explanation is that I need to practice doing these tests, and they will get more accurate over time. However I have been doing this type of test for many years to get my heart rate zones, it’s just the power measurement that’s new. You’ll notice that my average speed was higher during my July 2nd test. This is probably due to it being slightly more windy today, plus I was wearing my normal helmet and not my aero helmet. Either way, the good news is that it means I’ll be ok to race Vineman (Ironman distance) on July 30th. Bring it on! Here is my Ironman recovery plan. I’ll let you know if it works well or not. This is the 5th day since the race and I’m feeling about 90% recovered now. I need to recover fast because I have another one in just over 2 weeks from now (Vineman). My main areas of focus for a quick recovery are 1) to ensure that my nutrition during and immediately after the race are well planned & executed and 2) to consume a high protein diet in the days following the race. 1. 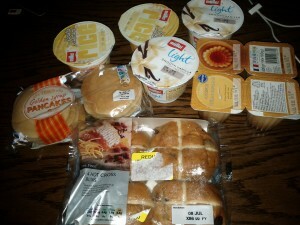 Ensuring my race nutrition is well executed. I seldom lose weight in a long race, making sure I consume enough carbs but also some protein during the race. For IM Switzerland I used the bike leg to consume a lot of nutrition: in the first 40km I drank 750ml of electrolyte, 750ml water, 2 x gels and a bar. Thereafter I had a gel every 20-30 mins, which is the frequency that works for me. I also consumed about 2L of coke and another 2L of water. On the run I find it difficult to eat but I managed 1 or 2 gels per hour and energy drink at every station. Once I finished, I had about 4 cups of the Powerbar recover drink. I tried to eat but I just wasn’t hungry. About 2 hours later I managed to eat a cheese burger. in the days following the race, I aim to eat as much protein as possible in order to aid muscle recovery. I don’t focus on carbs since the goal is not to replenish glycogen stores, but to repair damaged muscle. Despite what people may say, you don’t need a high carb diet to repair your muscles. I aim for over 2g of protein per kg of body weight per day, so for me the goal is 150g. 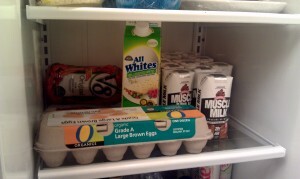 To get there without eating a whole lot of meat, I supplement with protein drinks, egg whites and amino acids. I try to do some light exercise – “active recovery” for at least a week. This means swimming, and very easy running / cycling. This gets the blood flowing to your sore muscles, delivers oxygen to them and will help you recover sooner. Anyway, that’s just the plan, I’ll let you know if it works out for me! So far I’m feeling good, I’m aiming to do a power test tomorrow morning in order to gauge how recovered I actually am. 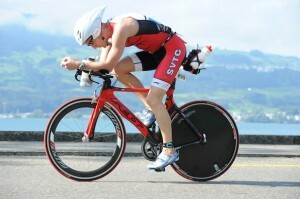 On July 10th, 2011 I took part in Ironman Switzerland. As I previously wrote, my race prep had some rough patches but ended very well, leading up to the final weeks where I felt fit and ready to race. My bike was all prepped and ready to be packed for the journey. 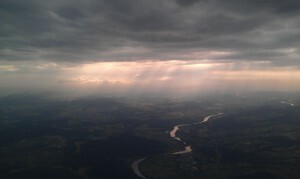 Carbalicious - my Friday "snacks"
We flew in to a magnificent view of the Zurich countryside, dark rain clouds interspersed with radiant shafts of bright sunlight, illuminating the lush rolling hills below. At this stage I still wasn’t really nervous – just very excited to get on and race. We got a taxi to the Sheraton Sihlcity, which is about 2km from the start, so pretty convenient. There are also loads of places to eat nearby; I settled for a large Calzone at a place called Vapiano and then headed to bed. On Saturday morning I got up early, put my bike back together and started getting my stuff ready. You would think that the fact that I’d already packed it all for a flight would make this a quick process, but I seemed to faff around forever making sure that I had everything sorted out. We then took a bus to the start area at Landiwiese so that I could go and register. 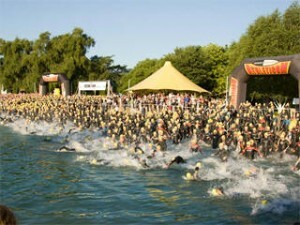 The place was already buzzing as they had a 5150 triathlon (normal international distance) taking place. When we arrived, I realised that I had left my USA Triathlon card at home, but fortunately they accepted an online version from my phone – result! I picked up my bag, timer chip and a few goodies from the Ironman shop before heading back to the hotel. After a light lunch, I rode my bike down for the 4.30 bike check-in. There were no instructions of what exactly we needed to bring for the bike check-in, so for future reference you need to bring your bike, helmet and race number (the one that you will wear). They then take a photo of you with your bike, so that they can check it again when you take your bike after the race. 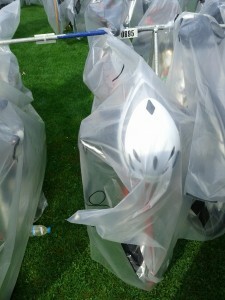 I racked my bike, and covered it with the IM issue pastic bag to guard against the overnight rain. I headed back to the hotel, went to Vapiano again for a large plate of linguine, then headed back to the room for the final round of faffing. I must have spent at least an hour “getting stuff ready”. Despite all the packing and checking, I almost forgot my timing chip which would have been a disaster. I’m used to picking it up on race day, so it’s not even on my pre-race checklist (it is now). By 10.30 I was pretty tired so I went to bed, setting two alarm clocks (just as well since one didn’t work). I still had no pre-race nerves so had a really good sleep. I woke up at 4.45, got dressed, had a bread roll with ham & cheese (expertly crafted by Michelle the night before) and headed down to take the 5.19 bus towards the start (which of course being swiss the bus arrived at 5.18 and 55 seconds). 15 mins later I was in the transition area, unpacking my bags and getting the final details ready. It was a beautiful day with only a few clouds, so it looked like we were set for perfect conditions. At 06:30 we all started heading to the swim start. The aquamarine water of Lake Zurich looked warm and inviting, and at 21C it certainly was. At 7am the pro race started, we had a few minutes to go, so I took up a position near to the left hand side of the field which would hopefully mean a relatively clear path, even if it resulted swimming a little further. The following minutes whizzed by and before I knew it we were off – all 2200 of us jostling for position in the churning blue washing machine. To my surprise I saw about another 250 people on my left that seemed to have appeared out of nowhere, so instead of being on the edge I was now in the middle of this big mess. 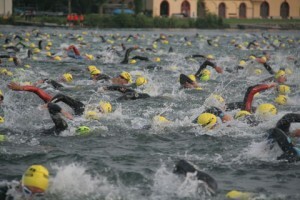 The swimming was stop and start for at least the first 1000 meters, making it very difficult to find any sort of rhythm. My goggles were also sliding up my face which was strange, and has never happened before. I eventually found my rhythm and started to swim well, when we got to the end of the first lap and had to swim under a bridge, run up a ramp over an island and then back into the water for the second lap. I was now swimming well, but faster than the group I was with so I kept on bumping into slower swimmers, with little room to swim around them. I eventually just swam behind someone else’s feet and took it slow to the end. I felt fine at the end of the swim, pretty much the same as I feel after a regular 1500m swim. I don’t really get that about swimming – why 3.8km doesn’t feel much harder than 1.5km. Anyway, I was pleased to be done with the swim. I entered T1 feeling good, quickly changed out of my wetsuit, stuffed a few caffeine gels into my pocket for the end of the ride (to help with the run), put on my helmet & sunglasses then exited. To save time I always put my shoes in the pedals and secure them with elastic bands to the bike, which means I can run barefoot through T1, making things a lot easier than trying to run with cycling shoes on. After a 2:47 transition, I got on the bike and felt great. The first 30km is flat, so I just focused on spinning easily through my gears and settling in. I was shocked to look down at my Garmin and see that I was riding at 300 watts, way over plan! It felt like I was putting in no effort, but I needed to stick to the plan so I eased off a little and settled in at around 200 watts, taking in a few gels, a bar, a bottle of electrolyte and some coke to replenish what I had lost on the swim. 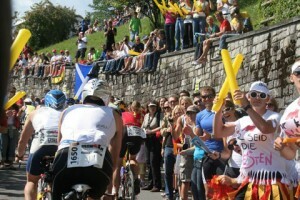 The Zurich roads are pretty fast and I was cruising along at around 39km/h (24mph), passing a lot of people. There were quite a few groups that I needed to get past, and it was pretty difficult to ride without drafting. I ended up sticking to the middle of the road and just accelerating in short bursts past the groups before settling in again on the right. It looked like a few people were drafting for way too long, but the eagle-eyed swiss officials were on top of things and I saw a fair amount of riders waiting in the penalty box at 30km. When I got to the first drinks station, they were just serving water (not food/energy drink as the race guide had stated). Luckily I was equipped with enough food to get me through to 60km so I just took a water bottle. The water from this station tasted like they had rinsed inner tubes in it, so I mixed it with some coke to improve the taste. From here, we entered the hilly section. There are a few short, sharp climbs & descents and then at around 50km there is a climb called “the beast”. It’s not really as bad as it sounds, about 4km long followed by a short descent then another 5km hill. I stuck to the plan here and didn’t ride much over 230 watts up the hills. A few energetic germans flew past me, stomping on the pedals, but I just kept the constant power output easing up the hill. The hills were also a good opportunity to get out of the aero position, stretch out the back, and talk to a few of the guys around me. After the hills, there is a long flat and then a fast descent back down to the lake. If you had a road bike here with drop bars, you could probably make up a lot of time on the descents. I was hitting just over 70km/h going down but my bike would start shaking around a bit at faster speeds, whereas my road bike handles 85km/h + easily. Being keen to stay safe and not crash out, I remained conservative down to the lake. Even with my careful riding my brakes were overheating on the corners, filling the air with the smell of burned rubber (reminiscent of the drinking water at water station 1). I went through 90km in about 2:50 which was on track, and I was still feeling fresh. I was using the avg lap power function on my garmin to make sure I was sticking to plan (by pressing lap every 20-30 mins). I was actually slightly over plan at just over 200 watts. However I was still feeling ok so I pushed a little harder on the next flat 30km of lap 2, staying comfortably around 41km/h. By this time, many of the stomping euro climbing heroes were rather tired and I passed about 80 people on this flat section. My heart rate was still quite low, averaging at around 140 bpm, so I felt confident that I was saving enough energy for the run. I pushed a little harder on the beast this time round, and I remember a group of british spectators chanting “kill the beast! kill the beast!” which at the time was good motivation! Arriving in T2, my legs felt like jelly as I got off the bike, but they came right quickly as I racked the bike & ditched the helmet. I usually run sockless, but for Ironman I figured socks would be sensible. I chose my Nike compression socks just to give my calves some extra support. Putting on socks adds about 30 seconds to transition but I think it’s worth the time, considering blisters would cost you a lot more time than that. T2 took 2:40, I grabbed a few gels, a half packet of haribos, and then set off on the run at a moderate pace of 5min/km which I thought would be sustainable and get me back home for just over a 3:30 marathon. The run is 4 flat laps, looping back and forth along the crowd-lined avenues. These spectators were really incredible – not one minute passed without someone shouting GO!ROB GO! (your name is printed on your number). I felt very comfortable, passing 10km in 50 min which was still on plan. Michelle was cheering me on at the end of the first lap which was just when I needed some encouragement – talk about perfect timing. At about 13km, the sunshine vanished and it started bucketing down with rain. The wind was howling, huge raindrops were slamming into our tired bodies, and massive puddles were forming on the ground. I had slowed down and I started getting cold, so I tried to run a bit faster to warm up. By this stage I wasn’t even checking my time any more. The thought of having to run about another 30km was pretty grim, and it took a lot of effort just to keep going. I allowed myself to walk through every 3rd water station, but as the race went on I found myself really pushing the definition of where a water station ended. One of them was about 1km after the start of each lap, followed by a short hill, and I managed to convince myself that since there were still cups on the ground going up the hill, that I was entitled to walk until the end of it! The most difficult part of the run for me was between 14km and 25km; it was mentally very tough to push through that, and I’m sure the driving rain didn’t help much. When I hit 26km, the rain suddenly stopped and the sun came out again. I told myself that I basically had 10km to go (after which I would still have another 6km, but I told myself I’d think about that when I got there). I continued drinking water & coke mixed, and even had some soup which was great. So far my nutrition was working out perfectly with no issues. I even tried one of those red bull energy shots which they were handing out – I think it helped but I don’t think I could have too much of that stuff. I continued walking every few water points, and then at around 32km I suddenly came right and settled back into a faster pace for the last 10km, running all the way, even through all the water points. My energy increased through the last 5km and by the time I got to the finish I felt like I could easily carry on. If only I could have swapped that feeling at the 12km mark! I crossed the line in 11:02, just missing a sub-11 but I was very happy to have completed it more or less to plan. In the finishers tent, they offered us some food and a non-alcoholic beer but I just wasn’t hungry at all, and the last thing I felt like was beer. The most I could manage was the powerbar recovery drink and a forced-down hot dog. I hung around for a bit, soaking up the atmosphere and then cheered a few of the runners on. I then collected my bike and rode back to the hotel, showered up and enjoyed an expensive swiss-priced burger king (equivalent of about $14 for a cheese burger). it’s worth doing more anaerobic swim training just to start fast, miss the chaos, and find a slightly faster pair of feet to follow. it’s definitely worth sticking to the pacing strategy. I feel like I did this well and it worked for me – now I just need to up the pace!